Whether your home removal is local or international, an organised move is much less. Our checklist is a helping hand to check you have everything prepared. This general list of actions may be helpful in planning your move and a helpful reminder. Feel free to print them off and call us if you need advice, we’ve been a removal company since 1919. Arrange a contact number whilst you are changing over between homes. Start running down your freezer contents. Check your home insurance – make sure that you have cover from the day you move in and consider increasing or decreasing the amount of cover. Notify your bank and savings/share accounts. Ask Royal mail to reroute your post. Notify change of address to any H.P. and credit firms. Clear loft and any other storage areas ready for removal. Plan where things are going in your new home. Clean out freezer, ensure defrosted and dry for removal day. Send new address cards to friends and relatives. Take down curtains and blinds. Confirm insurance arrangement at declared value. Dispose or sell off anything you don’t want. Book mains services for disconnections and meter readings. Notify doctor, dentist, vet, optician etc. Notify TV licence, DVLA, Passport Offices. Make a local map with directions to new house for friends and moving company. 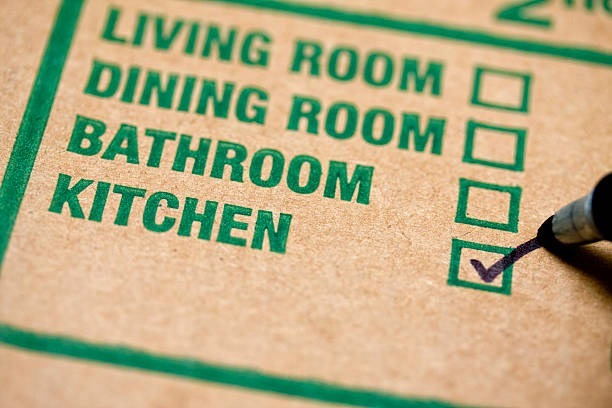 Start packing your possessions into boxes, clearly labeling boxes with the room and details of the contents. Sort out clothes and linen. Keep to one side your children’s toys you might need before you unpack. Organise any parking requirements at your old and new properties. Pack a box with essentials for when you arrive at your new house. A kettle, tea, coffee, biscuits, mugs, light bulbs and toilet rolls should be high on your list. Copyright © Schofield Removals Ltd. All Rights Reserved.